Dear creators and developers of the game! I'm with you come a long way from the first prototypes of the game to the latest release, and I must say you thank you for your work. Thank you for continuing to improve this game, do not forget about the wishes of the players, fix bugs, release a DLC, and for that you also a huge thank. But there is a "BUT". Big and unfortunately, not one. Brad is already talking about polishing the game. So certainly force programmers, developers, testers, will soon be redirected to other games from Stardock. Very much did not want to, because the game is far from complete, so we should not talk about polishing. 1. Artificial intelligence is not able to build up on the the planet! Will give a few examples - here, look, this is two years after the game's release, this version of the game 2.31.4! I have to rebuild each planet is a long, tedious, sad. 2. 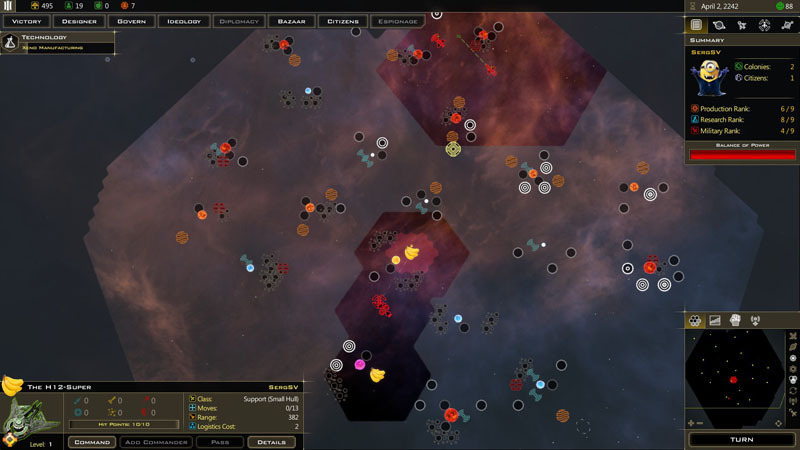 Teach the AI to save and not to build dozens of fleet, which, for its current expenses, he will not be able to contain! You spoiled by handouts AI in the form of money, resources, research points, and it did not know how to save and count money. Planet I inherited, won or donated, there are was never in the positive balance. Any fleet, if not for the constant gifts from the AI developers would be ruined. 3. Teach the AI to properly consider Power points! A lot of troubles. 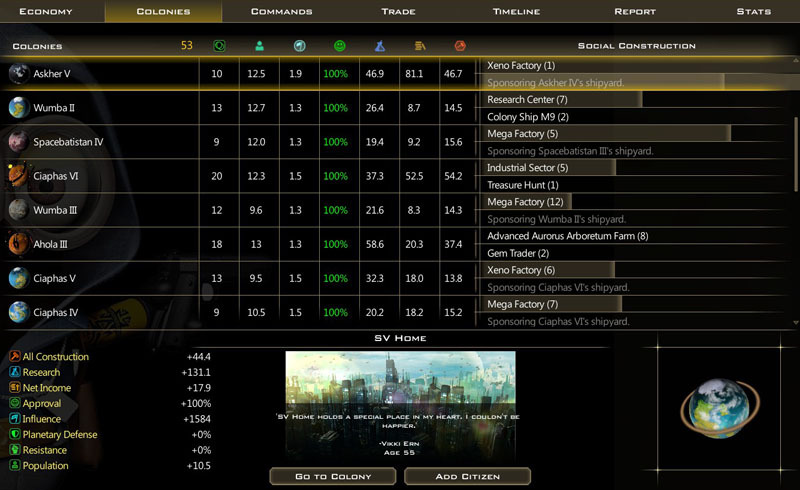 I'm strong and able to wipe the whole galaxy is constantly in last place in military ranking. Therefore, the computer is so sure of himself, arrogant and demanding because he thinks us players weaklings. I seized the planet, in which the enemy lost 4-6 thousand points Power. Thousand! One ship is a pair of points, the average fleet - hundreds, and there we have thousands of points from only one planet! Of course, this is a lot of unfounded attacks, requirements, and wars. 4. Diplomacy. Teach AI trade! Read the latest news about changes in the AI behavior, especially in trade, and exchange. Funny. You do play tried? Here's a screenshot. It requires all. Absolutely, and give me for this all only 175 bc. He needs all the resources. And also over 175 bc. What a mystical figure 175? Regardless of the fact that you agree with his demands, give him the resources or reject - it is don't change! and the next 9 moves the requirement to give them all, and in the next 9 turns - war. So, everything you write about diplomacy - concerns the apparently game on easy or normal difficulty, ok, so and talk about it. On higher difficulty levels not change nothing. By the way, why my friends, and even allies in UP vote not for me, but for those who are in a state of war? Diplomacy is another funny example. Altarians for example ask me to support them, and attack Drengin. I support them, attacking Drengin and instantly have Altarian go bad with me - Im already invader. It's strange, of course, because I went to meet them, helped them, as a result of soured relations with both. And anyway, it's a completely different thing - when I was asked to attack when I attack and when the attack on me. And while we continue to talk about the obvious flaws. 5. In the review of the patch has been said about the increase in the number of anomalies. 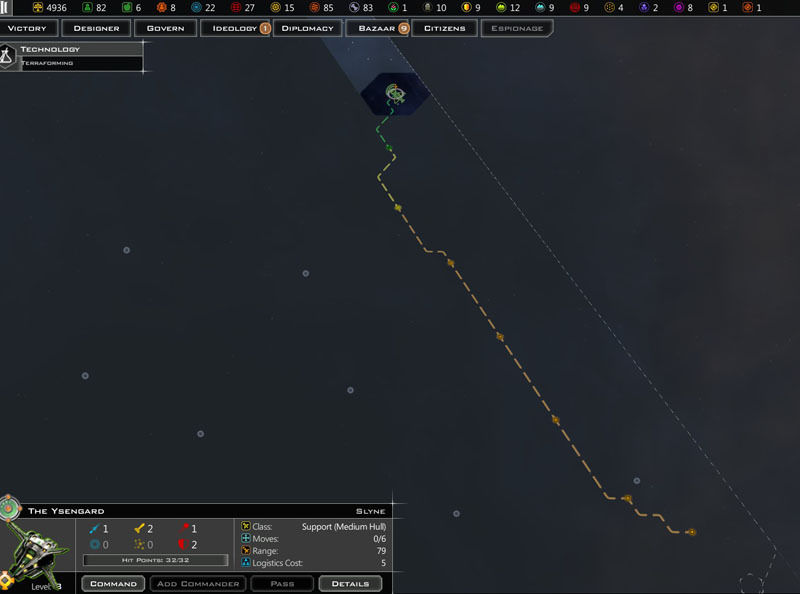 I happily have generated the galaxy, and find, that the anomalies as there was no and no. OK, I thought maybe it was because I played his own race, started over, and... nothing. Then another. And so 10 times. In 8 out of 10 on the first two or three screens, there was nothing. Probably, if to speak mathematical language, was 0 anomalies in the average on the screen. You added, well 50%. It became ...0. Oh, I guess you can say and about a 200% increase in the number of anomalies, because 0 want how much time can be multiplied by any number is 0. I'm talking about levels higher than normal, please keep this in mind. Strange if abundant have of black holes is - three can be on screen, but none of the anomalies even though abundant, the result is the same. Understand, UNINTERESTING to fly in empty space! It's BORING to explore the whole parsecs, the game loses one letter X of his four. The word "boring" was deadly for the game, especially in this genre. The number of prizes is low, the artifacts are not allowed (1 of 100) the study of technology. Is almost there in the game now the ship graveyard, so now the skill scavenger useless. Before all, it is necessary skill to develop, before going into a normal fight, but where and how can I do that? Yes, a bit in the last patch increased the number of heavily defended artifacts from, but it doesn't really solve the question - what to do in space where there is nothing? You can say - Yes, let the ship he flies. Then you'll see what he found. Unfortunately, this is another major glitch. Installed latest drivers, tried on multiple computers, all to no avail. It is a serious impediment to explore space. But polishing is - a study of the flight of the ship so that it NO TO flew straight to the pirates, or not paved the way through other people's possessions. 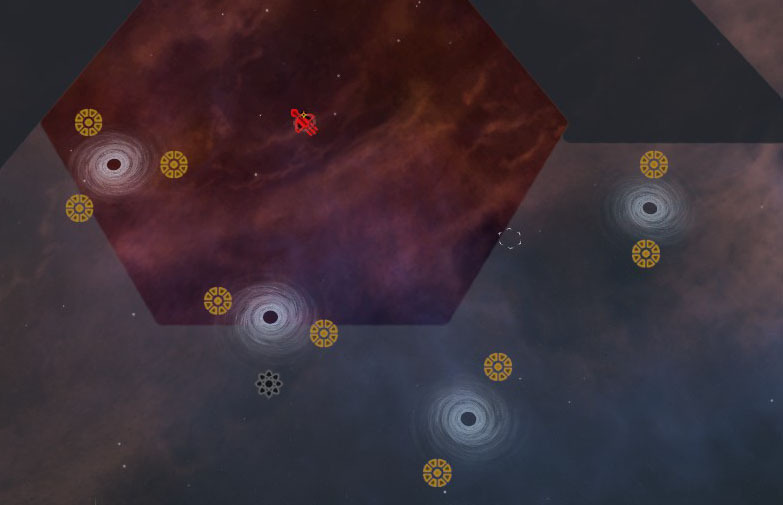 By the way why ships never attack other races, except the player, so do peacekeepers? Another race attack ships and bases of pirates on the space animals, but pirats not attack to them. Why when Lords of the fear appears have another race at hand, this race only shooting at them ships. Why not destroy the shipyard? Why not land on the planet? how to understand this? we gave you more money, just multiply the cost of the rush 100 times? Why have removed the ability of the race to build the first building instantly, and why is this never said? Why all other races fly across the galaxy to colonize planets next to me, and close to them not colonize? you first need to build an archaeological module and then production, and not Vice versa? It should have as the bases used to be - checkbox - all. why the table sorting is lost when you come to the planet? 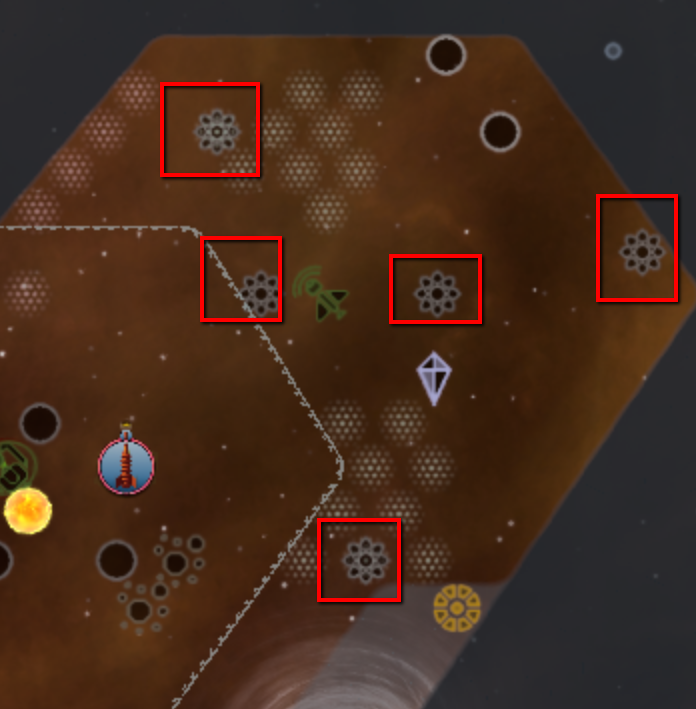 why the shipyard no longer automatically connect the next unused planet? Here it I would to call will be polished, but what you are doing now - (thank you again giant), but it can not be called polished. I agree. The game needs polish, and lots of it. I don't care that there's a hot post about how "polish doesn't sell" and most everyone there agrees. I'm upset. The Ideology choice for diplomatic trade value with minors has been left in the game how long since trade with minors has been removed? Three months? That is not just lack of polish, it's sloppy. Yes, I said "Sloppy". Many of the other choices are wildly over or underpowered. The Tech trees and improvements need lots of work. UI still needs lots of work. Population to production ratio was nerfed to near irrelevance. Asteroid mining is wildly overpowered (caveat, I don't want OP's thread hijacked into a discussion on this assertation, I'll start a new thread on it if someone is passionately offended by or supportive of this assertation). Implementing resource costs for improvements without providing a means to globally disable auto-upgrades was also Sloppy. I feel no need to be more specific. The failings in GC3 bothering me are listed in this post, in Discord #suggestions, and in forum posts new and dated. They have been mentioned ad nauseum. @Stardock I really do not feel I have gotten my $80 some that I have invested in this product. I feel that many of the "balance" changes made are overreactions that shoot past the mark, and that 2.3 was a step to nowhere. It made changes to some things not essentially broken (buffing a few race traits), while ignoring those that were (Resourceful), and did nothing to address more obvious and easily addressed problems. I am afraid you are losing your way in whittling this game down to perfection, that it will lose it's player base, and that economic necessity from lack of sales will shove this game into a FAIL list when it has and has always had such great potential. This game will be polished for years to come. It still has a lot of planned expansions. And the devs appreciate any constructive criticism given. Lot of fine points there. Galciv is a decent game, but still has lots of polishing to go. Speaking of, have they fixed crusade MP yet? Been wanting to play custom races with friend and had to deal with the sour fact that they removed the capability until they fixed networking issues. Those uneven trades are normal. The ai is angry with you in them thus the trades are overvalued and will never give you a good deal. I get very good trades when the ai's friendliness is on the other end of the bar. The game has come a long way since release. Agreed, the game has come a LONG way and is a whole lot more fun in Crusade. I'm eagerly awaiting lots more fixes and polish. On trading, I agree completely. In today's world, even if you absolutely hate someone, you wouldn't charge them 3000% and expect them to actually pay. The AI trades are more like 1000000%. Another item that bugs me is when the AI offers a "deal" and if you edit it even slightly, they turn up their noses. It's not a negotiation if I can't reasonably counter offer. I think we can all agree repeatable Station Garrison is painful. 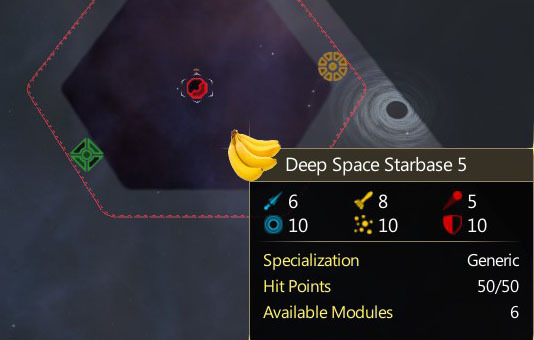 Stardock has done a tremendous job improving the game in recent time. I look forward to more of the same. Although Crusade is a huge improvement over GC 3 base, the OP sums up a lot of not direct bugs, but things that are at least (very) annoying. I so agree! Thank you so much for making this detailed post! I have noted a bunch of interface and other rough spots in another thread, which I hope you will agree bears bundling in with yours. This game doesn't need more DLC. It needs polish and tons of it, BEFORE the next DLC. We buy the game, we buy the DLC... In my case, and I think many of us here are in the same boat, because WE WANT TO SUPPORT YOU AND HELP YOU MAKE THIS GAME BETTER. Don't listen to the accountants saying "It's fine, don't spend money polishing it, spend it making more DLC, that's how we'll make more money." That is THE SINGLE MOST EFFECTIVE WAY to lose the loyalty of your gamers. And thank you for listening. It's 1% inspiration and 99% perspiration. Bug-fixing and balance is all perspiration; there is almost no creativity to it. But you gotta do it: it's 99% of your product. I would be happy to buy expansions if the base game is fixed first. Whats the point of expansions if the base game is not on par. As the OP has stated on many points that the AI needs a lot of work. To add to his points the AI(if you can call it that) is too hard at start and too easy once you have built a sizable empire. The UI needs some work still also. I TOTALLY AGREE!!!!! Fix the base game before trying to sell any more DLC, which I haven't and I personally am not buying till they do. I enjoyed Gal Civ II for hunderds of hours of game play, even with it's short commings, but it was more playable and as it is now Gal Civ III is a step backwards in many respects. Stardock, The good will you have earned with me personally is from your other games is slowly going away. I want to love the game but I still consider it in an unfinished state. Fix the damned AI and polish the UI with more ease of use for larger civilizations! Stop making DLC and fix the damned base game! I would be happy to buy expansions if the base game is fixed first. Whats the point of expansions if the base game is not on par. This is the fundamental conundrum that the thread talks about. All of the "money" is made in features, not fixes. To pay for fixes, you need DLCs or a Subscription model so that there is financial incentive to continue to work on the project. However, players of course don't want to pay for DLCs if they consider the original game flawed, so the base game has to be "good enough". Polish doesn't make a developer money, DLCs do. Spending time on polishing a game costs money in staff time, so unless they sell new products, they are just spending money. And no one will buy a DLC that is just bug and UI fixes. There has to be new content, which means they spend time on that, not fixing bugs. 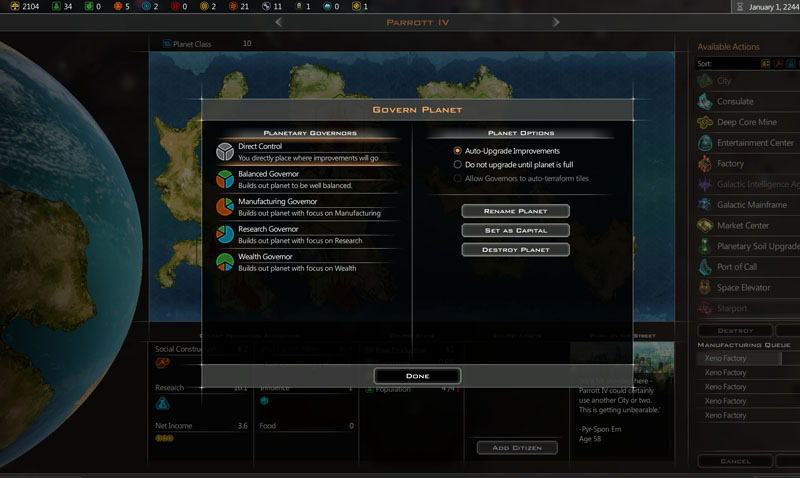 Personally, I wish they would just start GalCiv4 and do it right from the ground up. It's obvious that some decisions were made in the initial development that have made it difficult to fix retroactively. Especially since the programmer fixing the issues was not the initial programmer of the base game. I agree with the OP, they should fix the game before adding more to it. But there was a thread with this exact subject started long before Crusade came out, and nothing was done then, I wouldn't expect anything different going forward. I think this is beginning to tread upon the dangerous grounds where gaming companies end up tanking and going out of business. Just take a long hard thought about the sentence "To pay for fixes, you need DLCs or a Subscription model so that there is financial incentive to continue to work on the project." When enough of your customer base begins to realize you are selling them broken f****** s***, and you expect them to buy more broken f****** s*** before fixing the previous broken f****** s***, most people will just stop buying any of your products. Well then I guess they should not expect me to buy the DLC then and be more skeptical of Stardock going forward. Already, after months of owning vanilla and giving them a chance, I am disappointed, and finally dinged the game on Steam. I didn't know there were internal matters at Stardock, that would explain a lot. Thanks for the info. Hopefully Gal Civ 4 will be better. 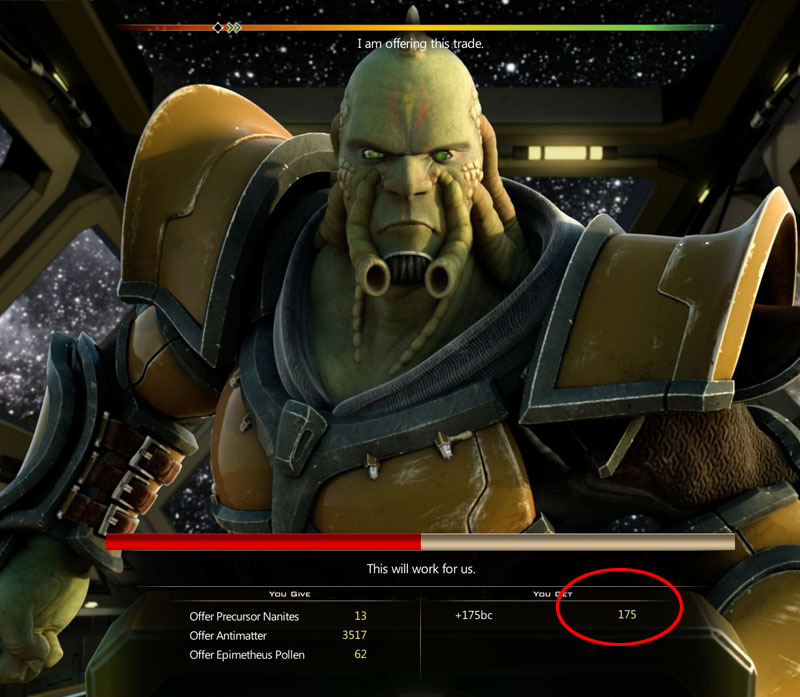 I agree with many of the points (grips) and the game still has many bugs. However i think it is only fair to point out SD has released many free patches and is likely to continue to do so. I don't know of another game co. that is so responsive, but the number of issues, both trivial and major, is disappointing .... for me its a love hate relationship. I love this game. It is my favorite all time game which I have been playing in it's various releases for nearly 20 years. With GCIII/Crusade I am like the kid playing with a broken kite. In spite of ripped fabric and broken sticks, repaired with cellophane tape and super glue, I manage to have fun with my badly damaged toy. If the AI doesn't like me because I have no diplomatic skills, it should indicate this in some way other than offering stupid trades. 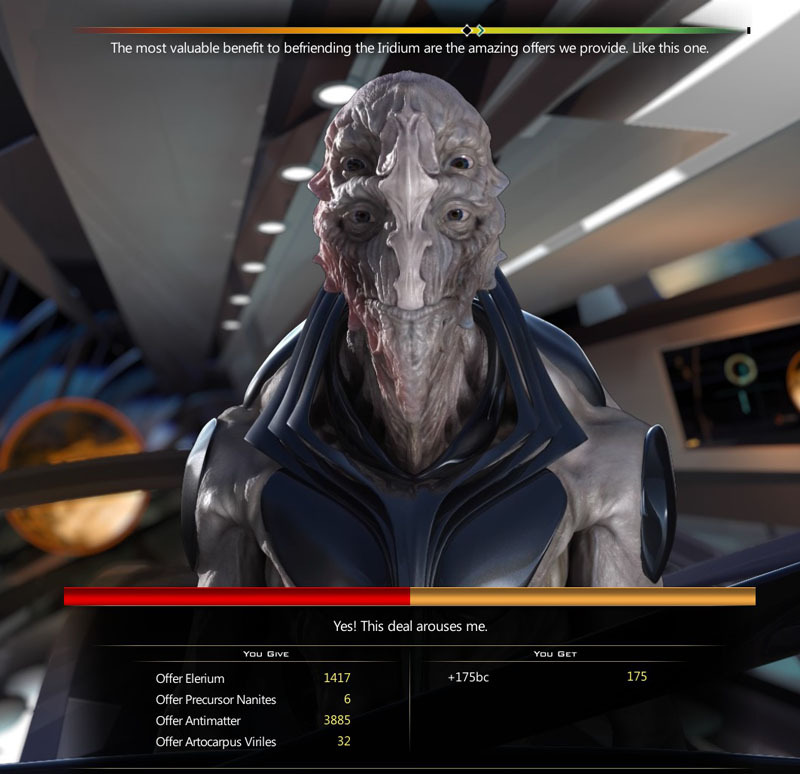 The AI has improved in game play but there are still no working govs to speak of. The ship designer is still broken. There is still major lag time. It take me over 10 minutes to start a new game. I have to validate files each time before starting a new game to replace 20 missing or damaged files. I have probably contributed to the problem by playing with many mods, but if the game was more polished, I wouldn't be adding nearly every mod that comes out. Maybe I need to delete and reinstall the game to get a fresh outlook. We will consider that if there is no results from the ticket I submitted today. No matter what, I will never give up on the game until Stardock gives up. Except that what you regard as broken someone else might think is brilliant. So when it's changed, they start complaining as you stop. If you like how it's been changed, that is, because how you'd like the broken stuff to be fixed isn't how another player who agrees it's broken would, so Stardock or whoever will still have people complaining. Are you seriously suggesting that a company should just take one payment from you and keep improving the game on and on? Why should Stardock do something nobody else does? 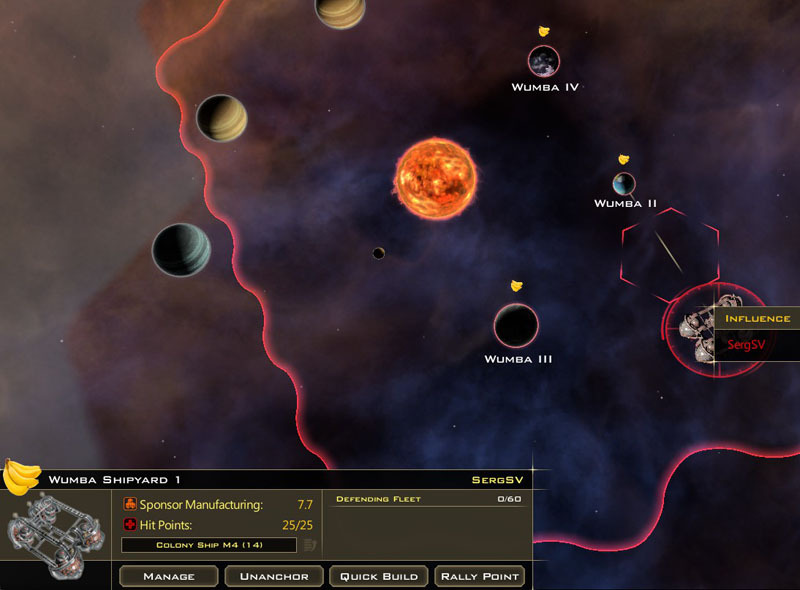 Has anyone considered that Galactic Civilizations III is basically, when you get down to it, Stardock making you pay them so they can update and improve Galactic Civilizations (my argument being any sequel builds on the original in many if not all ways). It's just that calling it "Galactic Civilizations V3.5 2014 Mega-Super-Update" would make some folk go "Hang the eff on, I'm not paying for DLC/an update, Stardock! Fix the base game!" Is there anyone out there who thinks Planetary invasion is brilliant? Is there anyone who thinks the AI giving you all 200 of their ships when they have a -1bc balance is brilliant? Is there anyone who thinks making all carrier fighters guardians is brilliant? Or that Administrators are "Dead" after you promote them to minister? Or that you are better off never promoting Commanders at all? Or that Xeno factories convey a whopping 2.5% extra bonus for all that work to upgrade it? Well I was going to point out that fixing things that are clearly broken has nothing to do whether or not myself or anybody else thinks it is "brilliant" to have broken features, but I think tetleytea summed up most of the examples I was going to bring up well enough. There is a big difference between opinion about what is a good "feature", and things that are simply not working right. 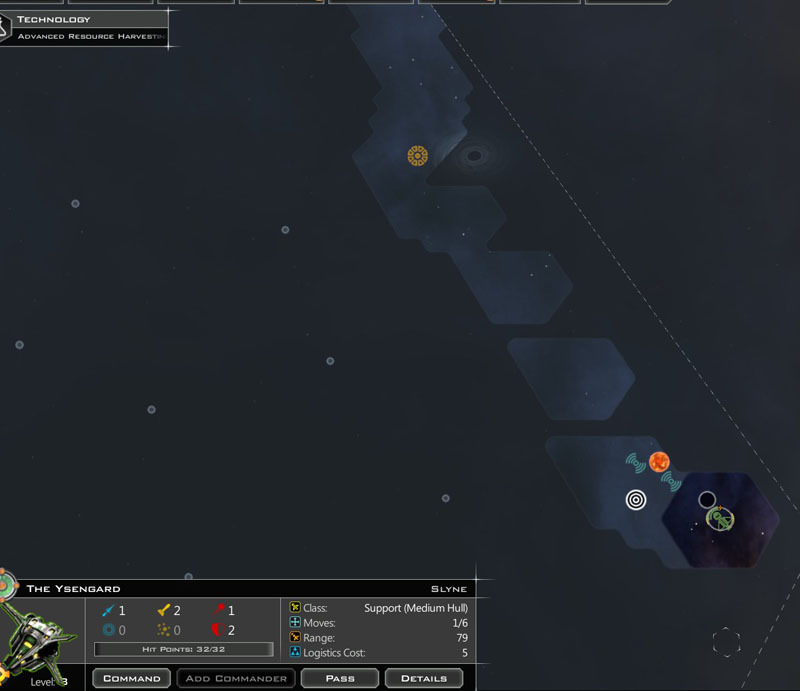 Well if we are talking about the base game where there were no.planetary invasions i thought it was complete after 1.7. So why are we talking about expansions if we are talking about the base game. What they are talking about is that they are probably going back to releasing a patch every month. When you are asking if anyone plays above normal. You are asking who wants a gimp ai. Lot of fine points there. Galciv is a decent game, but still has lots of polishing to go. Speaking of, have they fixed crusade MP yet? No this has not been fixed, there is a possibility we will get more information on this next week per discord on when we can expect this as well as an overview on the Mercenaries. Most of the issues mentioned by the OP don't play a major role in me enjoying the game. Diplomacy, well it's going to be lopsided depending on what's going on. 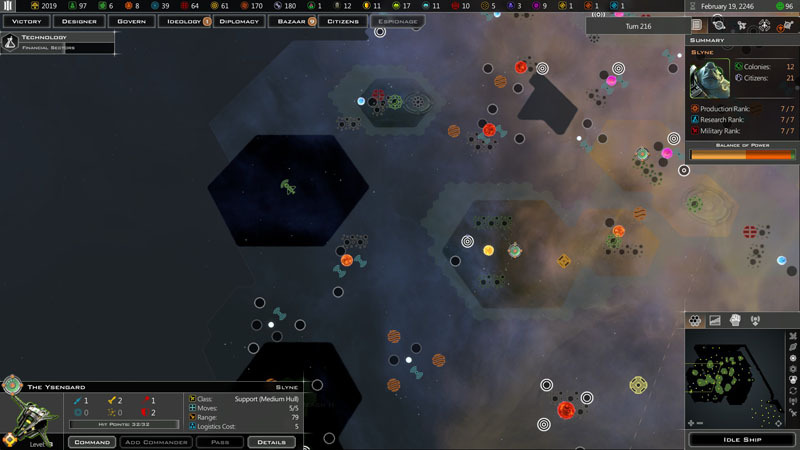 The FOW bug has been around since early on and Stardock has had a hard time locking it down (mainly because they auto play the game) and don't actually play the game themselves. Most posts for this have been replied to no issue found. Truthfully annoying but, doesn't greatly effect the game play. AI building placement also annoying and hurts the AI but, so does the bonus the difficult AI get. As far as polishing the games, well Stardock used to be great at the "finished" product, if something was broken it got fixed tomorrow. (especially with DA and ToA) Yes, these games were released primary digital format and they were polished at release. Minor bugs and I was satisfied at release as no major gripes and to this day I feel is one of the best games out there. 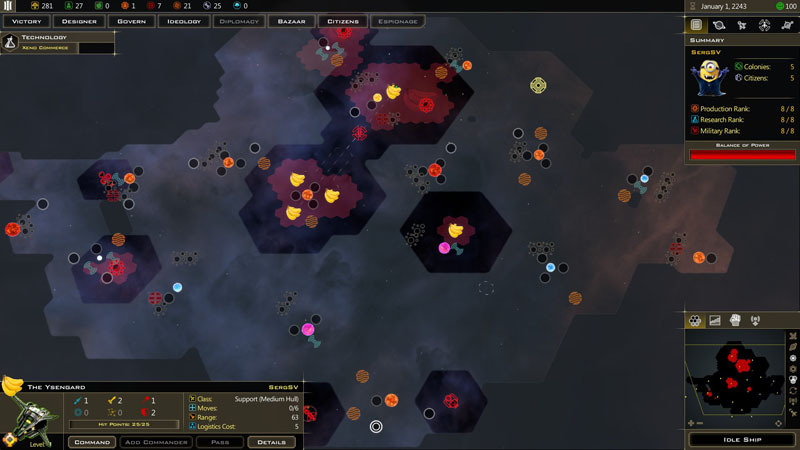 Modern Stardock games seem to be released with the mindset this game is feature complete (full of bugs and balance issues) but, feature complete let's release. This for me get's me more frustrated game after game they release, I used to be a big Stardock fan, I still am for the most part but, I'm not as high on them as I once was. They need to go back to what makes them great, listen to their fans, communication is key, iron out unstable game issues and major bugs prior to release. THIS WILL REDUCE NUMBER OF NEGATIVE REVIEWS. Brad is a great CEO and has great insight into his games (yes his games he has created these games), however, sometimes you can always use fresh eyes and ideas to keep things on track and not traveling down a dead end road. Anyways we should find out soon about some major issues with Crusade and hopefully we get our fixes there. So what can we do to get the game from here to there? It would seem our interests align: we want a good game. 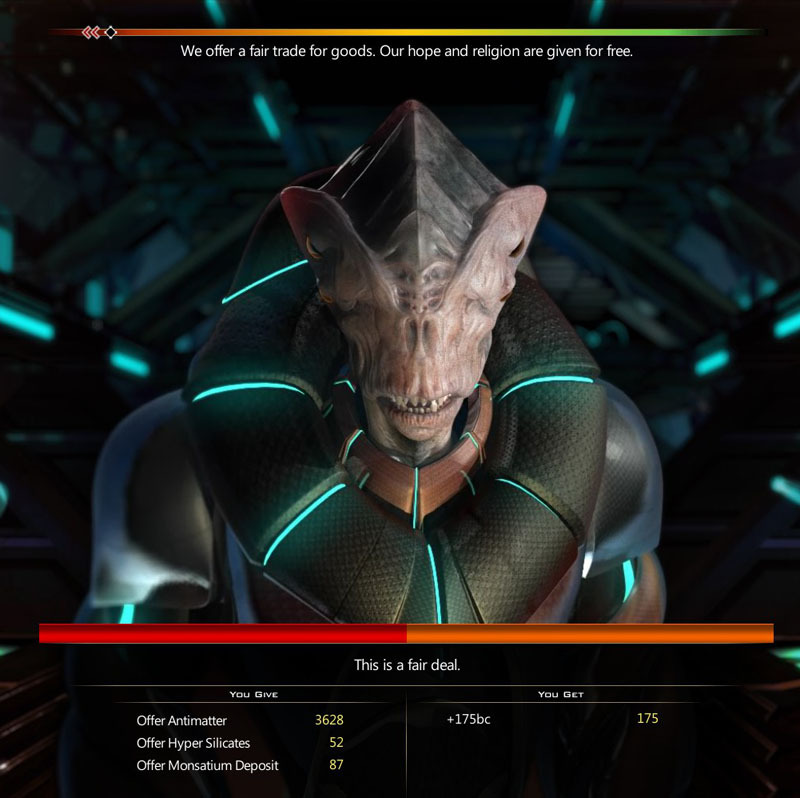 Stardock wants a good game, so that word-of-mouth spreads, they grow their loyal fan base, and they get long-term sales. Is fan-modding the answer? Simply criticizing Stardock is certainly not, no matter how strong (or accurate) our opinions. Walking away is an answer, but last-resort. I can code, but IMHO fan modding using existing capabilities does not get us there. 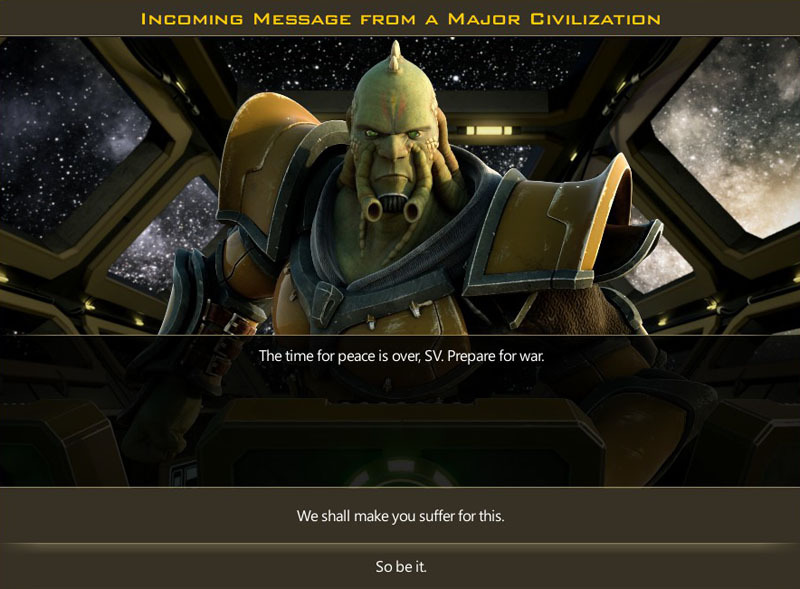 This: https://forums.galciv3.com/478948/page/1/#replies needs another bump then. That is very good, thank you. My hesitation with modding is not just the limitations of what can be modded. There needs to be that one gold standard that the metaverse, social media, and support can rally around. Plus the game design and AI challenges are simpler if you don't have to genericize your code for all possible use cases. That standard could come from the fan base (I don't care either way), but it needs to be supported as the standard. Say, "this is Galciv3". That over there is a mod. ...but it nearly gets drowned out with issues that I suspect are the result of modding or something else. For example, anomalies obviously work. I can't explain why the OP sees 0 anomalies other than to say that if this was a wide ranging issue, we'd be flooded with reports. Fresh install, from Steam, abundant anomalies. That is a good find and I have fixed this locally. This is caused by allowing AI players that hate you to still offer trades. The fix is to prevent AI players who hate you from offering trades. This continues to be a struggle as there are so many factors involved in what the AI decides to do combined with a "mod friendly" AI. The AI essentially designates planets and then tries to focus them based on an XML file. In Crusade, we started to move somewhat away from this but the planets remain a challenge. Overall, the AI does a good job most of the time but there are edge cases here. I intend to rewrite the whole planet governor AI at some point (along with the AI ship designer). It won't be mod friendly (as it currently is but no one is modding those things anyway) so that I can procedurally generate idealized planets. Disagree. Gameplay, that you don't agree shouldn't be reported under the guise of polish. If you want to have lots of free money you can mod the game to make it easy to have lots of money.